Softly shaded, seriously opaque and knockout gorgeous, these pastels are unmistakably there. 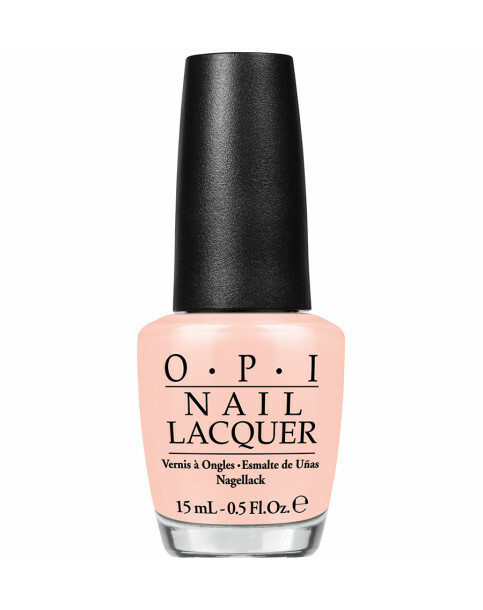 Baby peach polish has never looked so grown-up. Creme Gloss. OPI Nail lacquers contain no DBP, Toluene, or Formaldehyde, and each includes OPI's exclusive ProWide™ Brush for the ultimate in application. Stop It I'm Blushing is rated 1.5 out of 5 by 2. Rated 2 out of 5 by Terri from Disapointing Colour Not as good as previous colours I have bought, took 3 coats to create and even finish. Rated 1 out of 5 by Tid58 from Very disappointing coverage Wish I hadn’t bought this. Coverage very uneven for an OPI brand. Takes at least 3 coats and still not great.